We strive to offer the lowest prices for our quality Horse Gag Bits and your complete satisfaction is our number one priority here at Horse Tack Now. 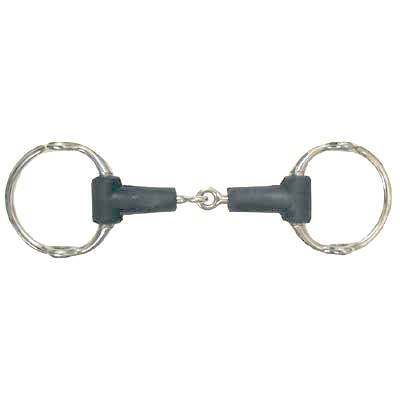 The Rubber Mouth Loose Ring Gag Bit that we offer is a Top Quality item for your Horse. This item is also made of top quality materials that will last a lifetime. If you are in need of Rubber Mouth Loose Ring Gag Bits this item is just what you need. We only offer the best horse bits for your horses at unbeatable prices. View the product image above and check out the precise details and craftsmanship put into this remarkably durable Rubber Gag Bit.